A Senior North Korean Banking Official Defects? Last Friday’s headlines on North Korea were filled with the following news alert—“a senior North Korean banking official who managed money for leader Kim Jong Un has defected in Russia and was seeking asylum in a third country.” We do not know if he did defect—the story is based on a single unidentified source in a South Korean newspaper—but the headline is just plain wrong. 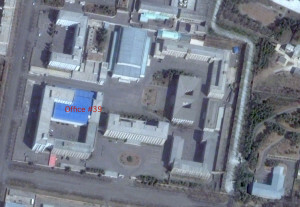 First, it is worth noting that rumors of an official from Office 39, the secret organization that handles Kim Jong Un’s financial activities, defecting or absconding with funds are a perennial, even biannual event in the South Korean media. It is true that many of the mid and high-level defectors during the last ten years have come from the North’s foreign currency earning entities. In contrast to diplomats or other personnel working and traveling outside the country, there is a lot less surveillance on personnel working in finance and foreign currency earning activities. This means they can travel to other cities or meet with foreign nationals without arousing suspicion. However, the alleged defector, Yun Tae Hyong, is not a senior money manager who works directly for Kim Jong Un, but rather is the equivalent of a regional manager in the Russian Far East for the Taesong Bank. The Taesong Bank is the financial services arm of the Taesong Group (a.k.a. Taesong General Trading Corporation), which settles the payments of foreign entities with whom the DPRK is doing business. Our information is that Yun’s job involved handling secondary and tertiary accounts for the bank in Primorsky Krai. He was one of at least a half-dozen officials in the area tasked to manage Taesong’s financial affairs. Moreover, while he probably handled accounts for trading companies and elites, he was only peripherally involved with the Kim family. Yun’s name does not appear as an account holder or point of contact on any of the DPRK’s accounts at banks in Primorsky Krai. He certainly would have been aware of DPRK business activities in that part of Russia and might have had information about the organization of the Workers’ Party of Korea (WPK) Finance and Accounting Department and how the DPRK eludes export controls as well as gossip about elite financial activities. He was almost certainly not involved in any management of bigger businesses or accounts handled in Moscow or Vienna. Naturally, Yun’s defection has triggered speculation about why as the ROK press has resurrected the idea of delayed fallout from Jang Song Thaek’s purge in December 2013. That explanation is of course possible since the fallen DPRK leader had close ties to financial personnel overseas. But it remains just that—speculation.